Posted 12:56 pm by UNT Special Collections & filed under 1980s. Happy Halloween! We hope you’re all having a spooky good time today. We dug up this charming feature from October 1988 on local puppeteer, John Hopkins who created amazingly lifelike monster costumes for Halloween. 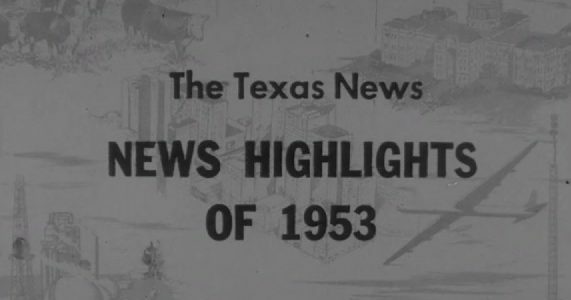 [News Clip: Monster Mash] on The Portal to Texas History. Posted 12:30 pm by UNT Special Collections & filed under 1980s, Uncategorised. Posted 5:09 pm by UNT Special Collections & filed under 1980s. Posted 10:20 am by UNT Special Collections & filed under 1980s. Would you buy remaindered candy for your sweetheart on Valentine’s Day? In 1982, people “poured” through the doors of the Candy Outlet seeking discount goodies for themselves and their loved ones. [News Clip: Valentine cost] on The Portal to Texas History. Posted 5:44 pm by UNT Special Collections & filed under 1950s, 1980s. Posted 9:34 am by UNT Special Collections & filed under 1980s. Posted 12:00 pm by UNT Special Collections & filed under 1980s. Posted 1:28 pm by UNT Special Collections & filed under 1980s.